I'm proud to officially announce the newest partnership of NASA's 944-Spec class and Focus 9 Technology, LLC ! After seeing several DME failures, I was pointed in the direction of Focus 9 Technology. The guys over at F9Tech take and completely rebuild DME's using modern electronics, eliminating the antiquated components. To comply with club rules, this DME has the latest stock 944 NA program loaded directly into the processor chip and cannot be modified. Because it provides no performance advantages over the factory BOSCH DME, driving ability and race setup remain the greatest factors in determining winners. F9Tech has become an official sponsor of the series as well, sponsoring 2 DME's for the 2016 Eastern and Western Nationals! 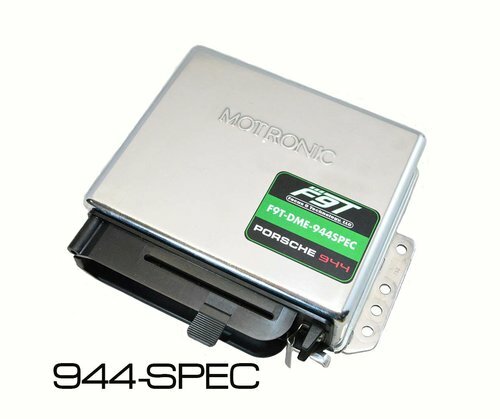 Additionally, F9Tech is offering our NASA racers a special discount when you enter the code "944SPEC50" which drops down the price to $325! Just to add, these have been dyno tested and show zero change in performance. This is PURELY for reliability! Hi Dan, great to see you here. But I have to say your above post may need some altering. This is from your post. "The result is exceptional performance, quality and reliably that not even a brand new DME from the dealership can match." This quote seems to say that this is better than the original unit. Should it not be the same? Also I would like to re-visit the 88 DME that has a higher rev limiter. Can the New replacement DME be bought with the higher rev limiter? If yes then cant all DMEs be altered to the higher rev limit as long as all other parameters are stock? Do we have a tool to check compliance of all DMEs? And finally does any of this matter if we meet the dyno cap? 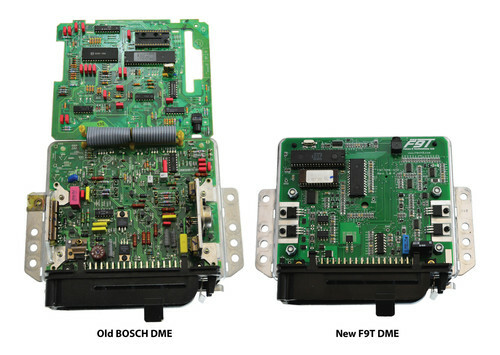 this DME has the latest stock 944 NA program loaded directly into the processor chip and cannot be modified. Does this mean 1988 DME settings, rev limit? Does it have a Fuel Quality switch? Last Edit: 2 years, 5 months ago by Kurt R.
The website states that this is for 85.2-88, and that early cars would have to acquire a used, late DME as well as an AFM. I run an '84 DME and AFM. Oh well. Last Edit: 2 years, 5 months ago by reflexr. The tune burned to the board is an exact match to the 1988 DME with the higher rev limit. There is no EEPROM chip socket so no need to provide a chip since they modified their design to include the tune on a chip hard mounted to the board. There is still a fuel quality switch. You do not have to provide an 88 DME to purchase, only any late DME for the core requirements. This does require the use of a late AFM to match the voltage requirements of that measurement. Since the tune is an exact match to the 88 DME, the increase in performance is in a reliability standpoint. No more tracking down cold or broken solders like some has done. The tune burned directly to the board has 100% to do with engine power output so the power produced from this DME is exactly the same as a 1988 DME on the same engine. The problem with altering existing DMEs is two fold. You would have to modify the early DMEs to accept a chip socket like the late DMEs to allow a plug and play solution. The late DMEs you actually have to either use a new chip, or tear the sticker off the stock one to clear the memory with UV light, then re burn the program on the chip with the new rev limit. I would say that at this price point, the F9 Tech solution is the best solution all around. Last Edit: 2 years, 5 months ago by AgRacer.